Move forward with confidence. Protect your company from avoidable loss and harm with our comprehensive enterprise risk management solutions. Lowers Risk Group provides comprehensive enterprise risk management solutions to organizations operating in high-risk, highly-regulated environments and organizations that value risk mitigation. Our human capital and specialized industry enterprise risk management solutions protect people, brands, and profits from avoidable loss and harm. With Lowers Risk Group you can expect a strategic, focused approach to risk assessment, compliance, and mitigation to help drive your organization forward with confidence. The international leader in enterprise-wide risk mitigation and loss prevention, Lowers & Associates (L&A) who sets the standard for creating programs that protect your organization and its interests. And, Proforma Screening Solutions who provides comprehensive employment screening services and solutions to mitigate risk and support the business goals of today’s human capital-driven organizations. SCTA- Secure Cash & Transport Association - Protect. Strengthen. Unite. LEADING PROFESSIONALS IN THE VITAL CASH-IN-TRANSIT & CASH SERVICING INDUSTRIES COME TOGETHER HERE. 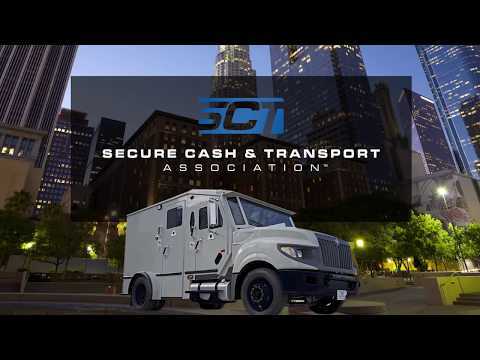 The Secure Cash & Transport Association is a non-profit association established in 2013 to represent the shared interests of professionals and organizations in ATM servicing, cash handling/processing, transportation, and safe keeping of cash and coin throughout North America. Our mission is to protect, strengthen, and unite this vital industry. ATM Security and Risk Management Requires a Unique Understanding. The staff at Lowers & Associates (L&A) has provided consulting services to ATM manufacturers, first-line maintenance (FLM) service providers, "white label" ATM owners, and ATM cash replenishers since 1988. We fully understand the unique operational risks involved in servicing ATMs and managing the personnel and resources to secure these systems. We have developed video training courses in FLM servicing for Diebold and NCR, who turned to our staff as recognized experts in ATM operational and procedural security. Additionally, we have conducted scores of ATM loss investigations for insurers, ATM service companies, and ATM owners. Our staff has an extensive knowledge base regarding the strengths and weaknesses of the controls that should be in place by companies involved with ATM servicing. Our staff has been involved in the development of the de facto security standards within the armored car industry regarding ATM servicing, cash replenishment, deposit pick-up, and cash management services. We currently provide compliance audits and video surveillance of ATM servicing operations for a major U.S. armored car company. Whatever your needs are regarding ATM security and ATM management control systems, Lowers & Associates can provide the expertise to meet those needs. Lowers & Associates (L&A) has been globally recognized as a leader in the field of Cash-In-Transit (CIT) security and risk mitigation since 1980. Working on behalf of banks, insurers and armored car companies, we have established ourselves as the go-to partner in this critical area of the financial services market. We base our approach on evaluation, consultation, and hands-on service that dovetail into a collaborative global risk mitigation platform. Helping you mitigate the wide range of business, operational, and technology risks facing your organization. L&A is an independent, internationally recognized provider of Enterprise Risk Management (ERM) and risk mitigation services to Financial Institutions around the world. Through our long history of serving the Cash-in-Transit (CIT) industry, we have developed key partnerships within the banking industry -- large national, smaller regional, and community banks alike. In addition to banks, credit unions, and CIT operators, we serve a wide range of other financial services firms such as ATM Operators, Check Cashers, Payday Loan Companies, and Pawnbrokers. From Enterprise Risk Assessments (ERAs) to Loss Prevention/Control Programs, our risk mitigation offering includes services to help you mitigate the wide range of business, operational, and technology risks facing your organization on a day-to-day basis. Which includes the following services: Risk Assessments, Security Reviews, Compliance Audits, Business Continuity Plans, Cash/Vault Audits, IT/IS Risk Management, and Due Diligence Investigations. Choose L&A to protect your people, brands, and profits. Request an initial meeting. Criminal background checks for employment are a widely accepted measure used by employers to establish the duty of reasonable care imposed upon them by the Negligent Hiring Doctrine; comply with applicable legal requirements to conduct criminal background screening; and avoid the harmful consequences of a “bad hire.” A well-designed employment screening program that includes criminal background checks can mitigate employer risk and lead to better hiring decisions. Proforma Screening Solutions offers a wide range of Criminal Background Checks which includes the following record searches: Local/ County Criminal Records, Statewide Criminal Records, Civil Court Records, Credit Reports, Media Searches, SSN Locator Report, Driving Records. SureScreen-- offers you the peace of mind and security knowing that your entire workforce has been screened according to policy. We do this by auditing your payroll record data on a pre-determined schedule and matching that data against our list of completed background checks. Risk Match-- An employee risk assessment and Risk Match can help get your rejection criteria in order so you know which applicants to let through and which to hold back based on their background screening results. It allows customization of decision making criteria in order to speed the review process and reduce inconsistencies. Policy Development-- We offer assistance in drafting employment background screening policies to help you remain compliant with federal and state regulations for regulated and non-regulated drug testing and/or background screening. While we are not a law firm, we have been around the compliance environment long enough to know the difference between sound policy and one that invites trouble. FCRA Compliance-- Our Fair Credit Reporting Act compliance fulfillment services specifically address the FCRA requirements surrounding pre-adverse and adverse action letters, placing the burden of creating and sending these letters into our hands. We distribute both pre-adverse and adverse action letters to your applicant when the report may or does result in a no-hire decision. 3/15/2019 - The Crypto Conundrum: What Are We Insuring?